Port of San Francisco's 150th Anniversary Gala | Entire Productions, Inc. 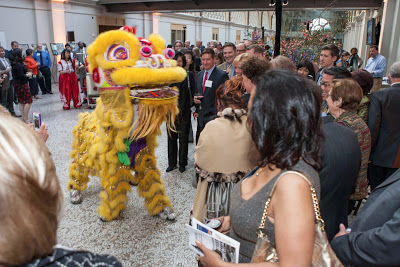 The Port of San Francisco celebrated their 150th year by hosting an exclusive gala at the Ferry Building last month. The theme of the night was “San Francisco: Past, Present, and Future”, and we were honored when Leftwich Event Specialists asked us to come aboard (pun intended) to provide the plentiful entertainment elements. 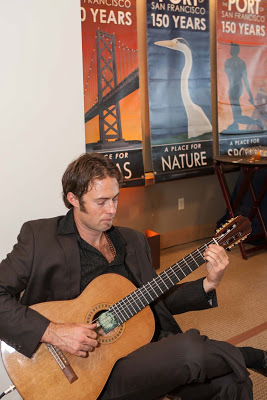 The event kicked off with a VIP reception in the Port Commission Hearing Room, where guests delighted in the Latin melodies of solo guitarist Q Morrow. 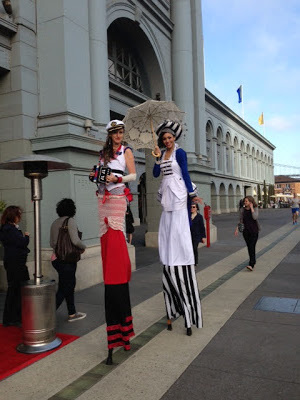 When the main event began one hour later, two stilt walkers in playful handmade nautical costumes greeted guests on the red carpet that lead up to the second floor of the Ferry Building. Gypsy jazz quartet, Le Jazz Hot, played high above the crowd on the upper walkway for the duration of the night while guests enjoyed light hors d'oeuvres and beverages. Throughout the evening, guests had many interactive activities to choose from, including: have their portrait drawn in a different San Francisco era by caricaturist Rene Pulido, witness a mind-blowing magic trick by “sailor” MagiKai, have a wacky photo taken in the photo booth, and munch on Ghirardelli squares from two strolling “Chocolate Girls”. The night also featured a performance from Leung’s White Crane Lion Dancers who meandered through the crowd as their percussions echoed throughout the building. Jam-packed with activities and great company, the event truly captured the spirit of the city and the history of the Port’s 150 years. Special thanks to the teams at Leftwich and Davis & Associates - you were a blast to work with!